Rouverol is co-author of the book "I Was Content and Not Content": The Story of Linda Lord and the Closing of Penobscot Poultry. 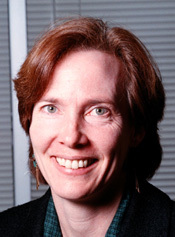 She has taught at UNC-CH and the Center for Documentary Studies at Duke University, and currently serves as the Oral History Association liaison to the American Folklore Society; with historian Mary Murphy she served as Program Co-Chair for the 2000 annual meeting of OHA in Durham. 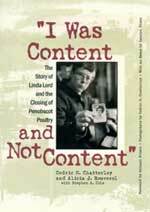 "I Was Content and Not Content": The Story of Linda Lord and the Closing of Penobscot Poultry (Southern Illinois University Press, 2000). Co-authored with Cedric N. Chatterley and Stephen A. Cole. Foreword by Michael Frisch; essay by Carolyn Chute. "I Am Ella Keesler Fountain Pratt": An Oral History (Durham Arts Council/Mary Duke Biddle Foundation, 1999). Foreword by Reynolds Price; afterword by Jaki Shelton Green. "I Was Content and Not Content: Oral History and the Collaborative Process," Oral History (UK), Vol. 28, No. 2, Autumn 2000 (in submission process). "Between Text and Photos: Telling the Story of Linda Lord and the Closing of Penobscot Poultry," Oral History: Challenges for the 21st Century. 10th International Oral History Conference, Proceedings Vol. 4, forthcoming 2000. "Using Folklore for Interpretation," Pathways: Discovering Your Connections to History. A program of the American Association for State and Local History, forthcoming 2000. "Whole Lives: Reflections on Living with HIV," NC Crossroads, a publication of the North Carolina Humanities Council. Vol. 3, Issue 4, Nov./Dec. 1999. Co-authored with Lisa Yarger. "The Closing of Penobscot Poultry and the Story of Linda Lord: One Woman's Experience of Deindustrialization," Journal of Applied Folklore 4:5-21 (1998). "'Hot, Cool, and Getting Down': African American Style and Aesthetics in Stepping," North Carolina Folklore Journal, Vol. 43, No. 2, Summer/Fall 1996.